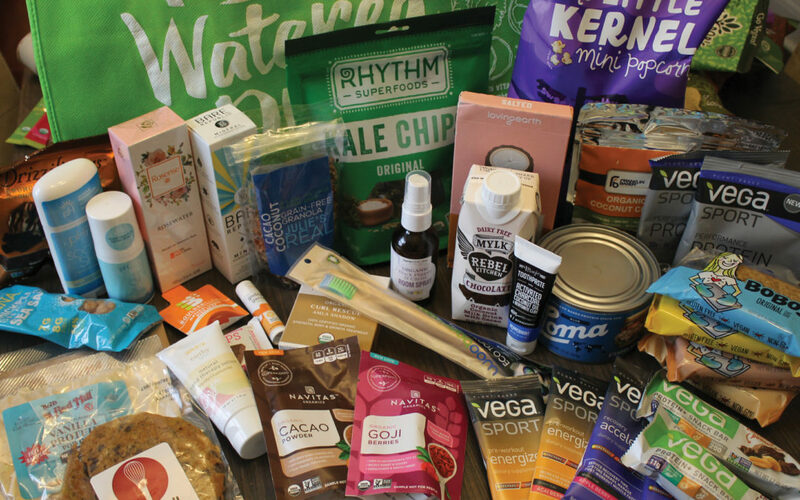 Watch this video for a recap of some plant-based brands represented at the Expo. Over 25,000 attendees permeated the corridors and expo halls of the Baltimore Convention Center this past week for the 32nd Natural Products Expo East, running from Wednesday, September 13th through Saturday, September 16th. Each year, New Hope Network organizes Expo East in Baltimore, Maryland, complementing Expo West—which is held each spring in Anaheim, California. In 2017, Expo East featured a staggering 1,523 exhibitors (Expo West, the bigger sibling, is about double!). Among those exhibiting were brands and services that represented natural and specialty foods, organic products, health and beauty, natural living, and supplements. Two floors of the Expo were dedicated entirely to “Hot Products”—the latest companies to enter the market with their natural products. While almost all exhibitors had something new and exciting to share, the Hot Products pavilions were not to be missed when it comes to discovering the newest brands to enter and shape the natural products industry. An official smartphone app from New Hope Network helped make the four days less overwhelming for attendees, but with over a thousand exhibitors, one can imagine it’s hard to hit them all—not to mention the educational sessions and organized events. In total, the Expo features three days for the trade show and four full days of events and education.
. Jonathan sat on stage with New Hope’s Director of Content, Carlotta Mast, to have a down-to-earth conversation about eating animals. When Mast read Foer’s book, she said she felt a relief from the cognitive dissonance and disconnect from not living her own values. She hasn’t consumed animals since! Throughout the remainder of Friday, sessions covered emerging trends and the future of plant-based foods, the changing face of the dairy aisle thanks to plant-products, and a session on marketing plant-based products. Sessions like these emphasized the growing importance and strength of the plant-based movement. For instance, according to Michele Simon of the Plant-Based Foods Association (PBFA), plant-based food sales topped $3.1 billion (PBFA Press Release). In general, grocery sales are typically down 2% across the board. However, for plant-based companies, sales are up 8%, explained Simon. Even more, it is estimated that by 2054, plant-based protein will comprise a third of all protein on the market (according to Lux research). Oatly // NEW to the United States! Swedish oat milk brand started in the 1990s is finally coming to the U.S. Among the many plant-based exhibitors, congratulations are in order for more than a few for their recognition as either finalists or winners for the Expo’s NEXTY awards. Congratulations to these plant-based companies for their award-winning products! From the trade show to the industry learning opportunities, Expo East is an exhilarating chance for people who are motivated by natural and eco-friendly living to learn about what lies ahead. As a vegan blogger, attending Expo East is like being a kid in an organic, plant-based, ethically-sourced chocolate candy shop. The atmosphere is filled with optimism and excitement, shared among attendees and exhibitors alike. Between celebrating new food and other natural products, there are ample opportunities to socialize and network with like-minded industry leaders. Best of all, Expo East is an insider glimpse of what’s to come; and this year, it announced loudly and clearly that the future is vegan. Next year’s Natural Products Expo East will be held at the Baltimore Convention Center from September 12-15, 2018.